This stunning clutch is the perfect statement piece to complete your look, whether you're hoping to rock a gorgeous springtime floral mini dress, or a simple, little black dress. 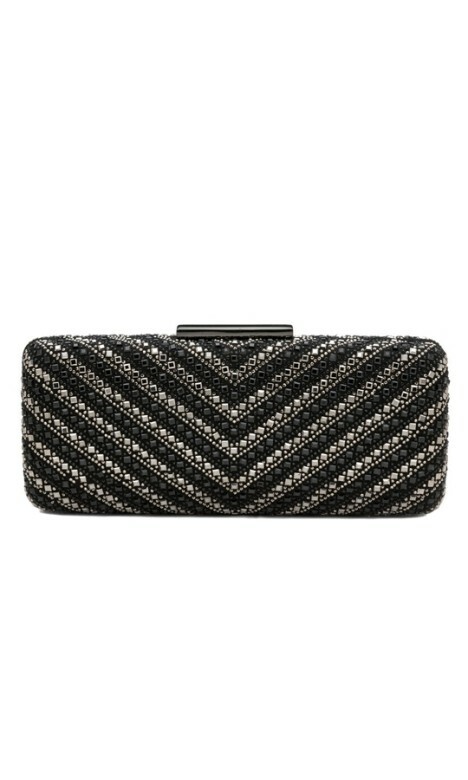 It features hundreds of geometric metallic stones in a chevron pattern. It comes with gunmetal hardware and a detachable shoulder chain for versatility! This little clutch is perfect to hire for a glamorous day out at the races! Dress this look up with some statement silver accessories, and a matching heel! For more race day inspiration, check out our 'Rental Dress for the Races' customer story!